I picked up the phrase “the selfish joy of giving” from reading Laura Vanderkam’s “All the money in the world” book a few months ago. It immediately resonated with me. 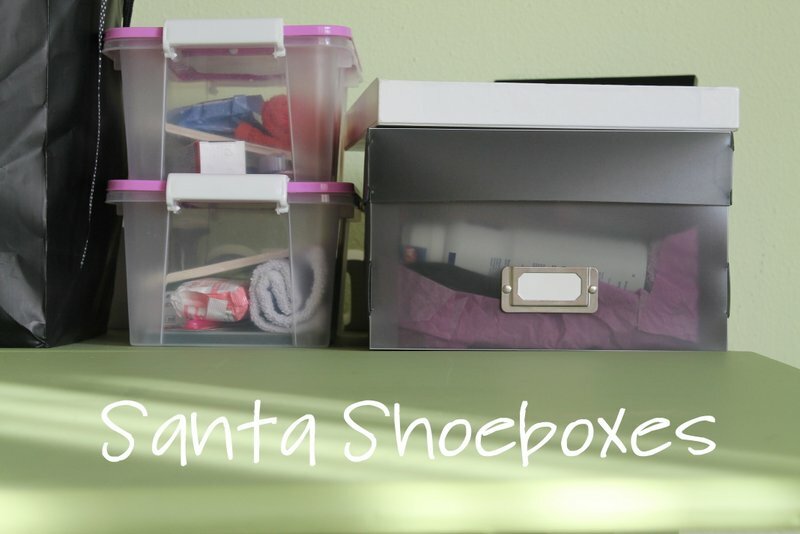 I have often said that I sign up for Santa Shoebox because there is nothing better than shopping for other kids because I don’t have to find a place for all that stuff. Jokes aside, it’s so true. 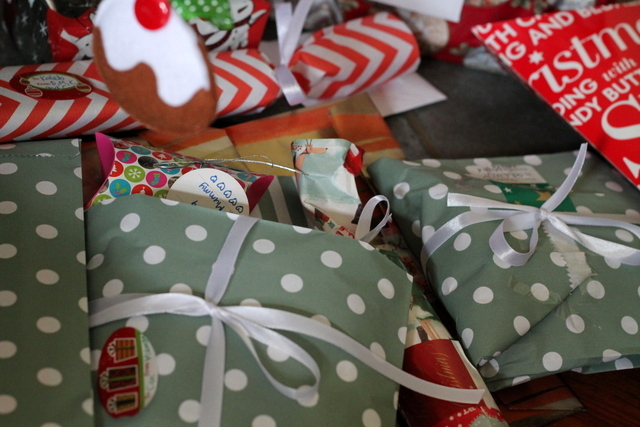 There is something that warms my own heart even more than the recipients’ hearts when I fill a Santa Shoebox. She also mentioned some research that people are more happy from philanthropic endeavours than from spending on themselves. This was my favourite chapter in the entire book and has stuck with me since. I also want to highlight 3 ways for each of us to experience this selfish joy of giving the entire year, not just around Christmas. She mentions that this is probably not as effective a way to use the money, but it is always a popular way to give. I completely resonated with this. Years ago at my church, there was an appeal to buy a gift for a certain amount of money, wrap it and bring it in. We always enthusiastically participated. Then it changed to just donate the money and suddenly we stopped. It just wasn’t as fun anymore. People (me!) want to feel warm and fuzzy inside while they give. This is the most exciting part for me. I have visions of paying for science/ maths camps for 5 kids a year. I have a bias because I studied science. If you know of any in the Joburg area, tell me! I’ve also thought about sponsoring a Bible college year for one person. These gifts, while larger, will not break my bank of Marcia (I know how to save and manage my money), but it might be just the thing to truly influence another person’s life, and I really want to be part of something bigger than just me. 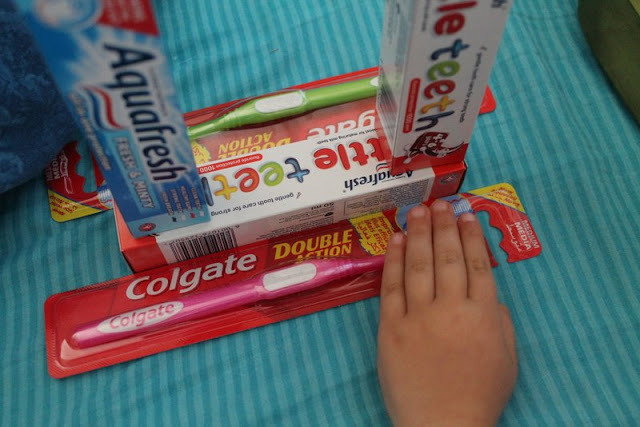 One friend stopped doing Santa Shoebox and decided to buy something (I can’t remember if it was nappies or formula) on a monthly basis for a whole year. She’s not trying to solely fund the children’s home but she knows that every tin of Nan counts or Pampers. Whatever it was. Another friend buys hot dog rolls and sausages, prepares them and then drives around her suburb and surrounds handing out food to the beggars on the corner. Another friend makes cupcakes for all the old people at her nearest old aged home. I used to read a blog where the blogger ran amazon ads and used all that money (it’s really not a lot) to buy diapers for kids. What a great idea! I support two World Vision kids from the Eastern Cape (I’m from the EC) but this kind of practical thing sounds like a lot of fun that I can do in addition to my monthly subscription. In fact, 2018 marks 20 years of me supporting a World Vision child. If you’re looking for something meaningful to do, why don’t you purpose now to set aside a certain amount of money every month this year, and make a practical difference. And if you can’t give financially, there is always your time. Can you think of some easy ideas to experience the joy of selfish giving? 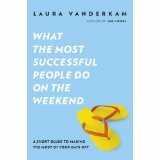 I’ve been following Laura Vanderkam’s blog for a while now. I don’t always agree with her opinions but she does challenge my thinking, which I do like. Anyway, so when she announced her latest book on her blog, I was very interested in having a look because I consider myself successful at (1) getting things done and (2) relaxing on the weekends. Any additional tips are well worth the $5 price tag, right? So I read this book two weekends ago and I loved it. I’ll share just one thing with you. Are you aware that from Friday night 6 pm to Monday morning 6 am (the typical weekend), there are 60 glorious hours to play with. Out of a total week of 168 hours! I’m a little bit of a nerd so I took it a step further and calculated the percentage. That means more than a third of our lives are actually set up to enjoy leisure time! I’ve had two weekends since I read the book and my whole perception of time has changed. I’m not moaning that the weekend is so short and the week is so long, blah blah blah. I’m seeing it as a gift. Plenty of time to sleep, meet with friends, potter around the house, have fun with the family, go to church and relax. Has your perspective of weekend time changed?